Most people have probably heard of or seen pictures of so called Rube Goldberg Machines. These are extremely complicated apparatuses which do extremely simple tasks. Here is an example from the Rube Goldberg website. This one could actually be useful for those grad students who have bosses that keep track of time in lab. There are even Rube Goldberg Machine contests, in which teams try to design a machine that can use the greatest number of steps to complete a simple task. Now, science is often complicated and it doesn’t need any extra help from us grad students to make it more complicated but I fell into the trap myself and let this be a warning to all those who think they have a really good idea… think again. 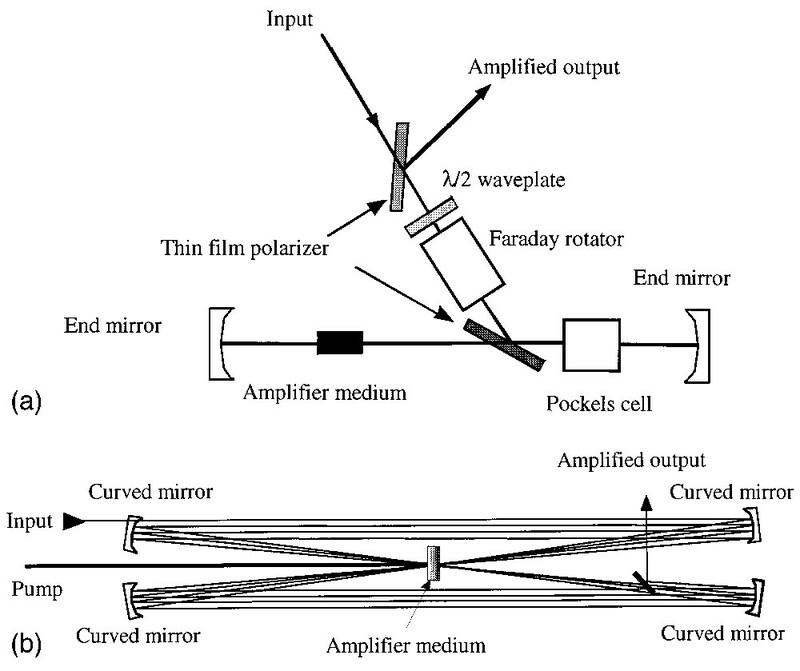 The required task is: Do a pump-probe anisotropy measurement using infrared light. 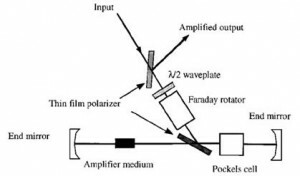 Simple enough at face value, but all you visible spectroscopists out there must keep in mind that IR polarizers are ~1000 times worse than visible polarizers and there is no such thing as a broadband IR half wave plate. Tack onto that the fact that IR detectors are much less efficient that visible detectors and you’ve got a passel of stumbling blocks in front of you when you’re trying to do this experiment. I’ve tried a number of different techniques and because the IR polarizers and half wave plates are a little sketchy, transmission always seems to screw things up. So I thought to myself, what if we did everything using reflections! Then it would be achromatic and everything would be hunky dory. 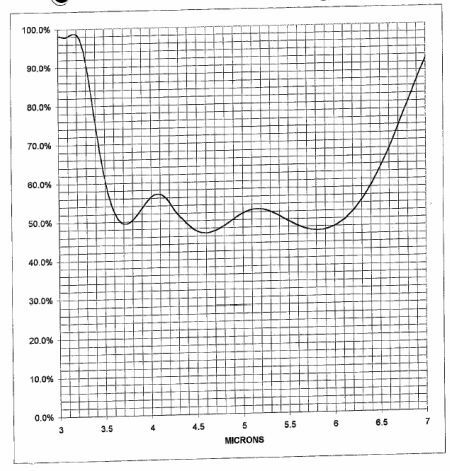 Here’s a schematic diagram of what the pump beam is subjected to in this scheme. The actual layout is much more complicated but I didn’t have a digital camera with me. The periscope serves to change the polarization of the pump beam so that it will be parallel or perpendicular to the probe. 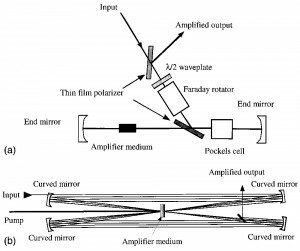 The bottom mirror in this periscope is on a computer controlled rotation stage so that it can rotate to spit the beam out in two different directions depending on the polarization you want. In addition to that, since there are now two beam paths we added a computer controlled mirror that could flip in and out of the beam depending on which beam path you were using (which polarization). It was a thing of wonder to watch these things rotate and flip on the click of a mouse button, almost mesmerizing and utterly satisfying as well. Needless to say, it didn’t actually work for the purpose it was designed for. I wasn’t able to align the two beam paths well enough and/or the mechanical devices weren’t repeatable enough to consistently steer the beams in the same direction. Bummer. Like so many things that seem perfect on paper, real life imperfections rear their ugly head when you try to make it work in practice. Now, this experiment isn’t a simple task by any stretch of the imagination, but making it more complicated is certainly not going to make it work better. It was only after I was humbled by the lack of repeatability of my fancy new system that I remembered Rube Goldberg and kicked myself for falling into his trap. I guess optics are harder to make in the infrared. You ask for a 50/50 beamsplitter for 3.5 to 6.5 microns and you get something like this. I guess it crosses 50% T a couple of times within the spectral window so I shouldn’t complain. If anyone knows a good source for IR beamsplitters that have flat spectral responses and also don’t achieve their %Reflectance with multiple little reflections leading to strings of pulses separated in time by a few tens of femtoseconds let me know.